Here's the salad and the four types of peppers I used. I used to love taco salads. Have you ever had one? They've gone out of style, it seems, but the ones I loved best were a spicy chili on top of sturdy lettuce, and topped with cheese and assorted garnishes. 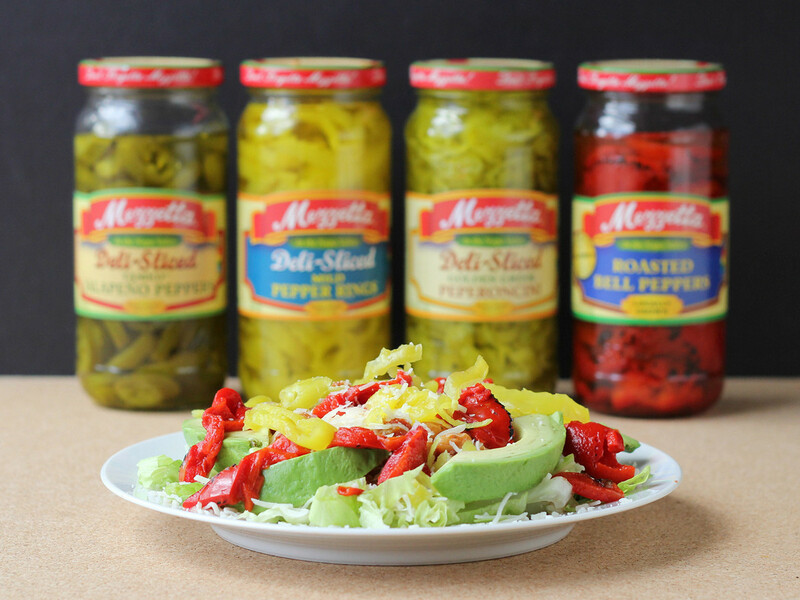 That's the very first thing I thought of when Mezzetta offered to sponsor a post, because they happen to sell a whole lot of different peppers, and peppers are essential for a taco salad.. While taco salad might not seem like a holiday recipe, it was one of my favorite things to order when I was out holiday shopping when I was in my teens. It was filling enough to keep me going, but not so heavy that I felt like I needed a nap afterwards. Best of all, it was a quick meal out of the restaurant kitchen, so I could get back to important shopping. 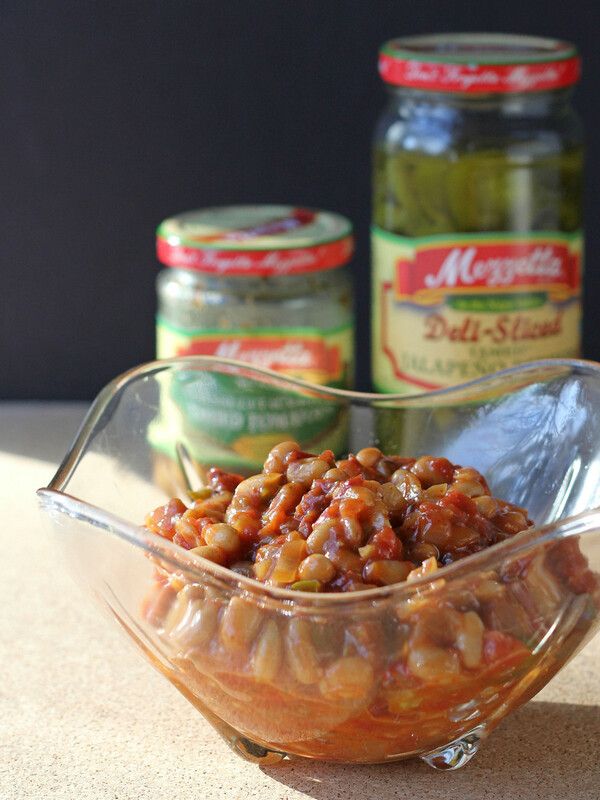 There's the whole array of Mezzetta items I used for this post. While I loved the old-style taco salads, recently I started wondering why they always included meat. When I think of salad, I think about vegetables, mostly. Okay, there's tuna salad and chicken salad. Even steak salad, I guess. But I thought that taco salad deserved a meat-free makeover. It's not that I'm a vegetarian. Far from it. But I adore vegetables. And salads. So sometimes I just want to celebrate them all by themselves. I might have gotten carried away with the peppers in this salad. But that's okay. They're all different, in color and in flavor. If you have everything prepped in advance, you can have this assembled in no time. Even better, let everyone assemble their own salads with the ingredients they like the best. You couldn't see the chili well in the salad. Here it is. Heat the olive oil in a saucepan and add the onion. Cook, stirring, until the onions begin to soften. Add the beans, tomatoes, jalapenos, chili powder, and sundried tomatoes. Cook, stirring as needed, until the tomatoes cook down and the mixture thickens so you have beans in hearty sauce that isn't too runny. Taste and add salt, as needed. If you like it spicier, you can add more chili powder or jalapenos, but keep in mind that peppers will be a garnish for the salad. 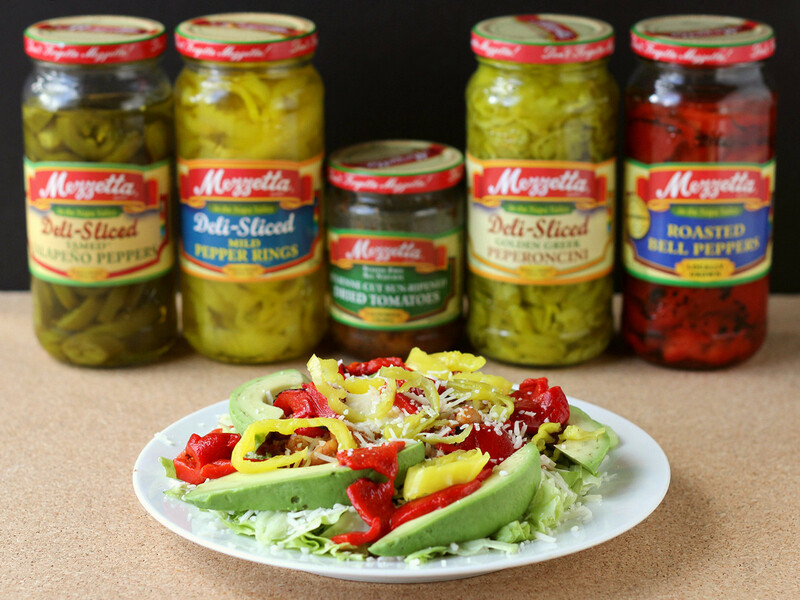 Pile the shredded lettuce on a plate, then add a scoop of the hot chili. Add a dollop of sour cream in the center, then sprinkle with cheese overall - as much as you like. Add the avocado, then garnish with peppers, as desired. You'll note that the garnish peppers I added aren't super-hot, but they have entirely different flavors that add a lot to the salad. The bell peppers I bought were all red, but the red-and-yellow ones are nice, too, for more color. I've bought those red-and-yellow peppers several times, and I like them as much as the all-red. The deli-sliced peppers that I bought are a time-saver, but you can also buy whole peppers and slice them any way you like. If you want more heat, add the same jalapenos that you used in the bean chili. The ones I used were "tamed," so they're not killer hot, but still have some spice. 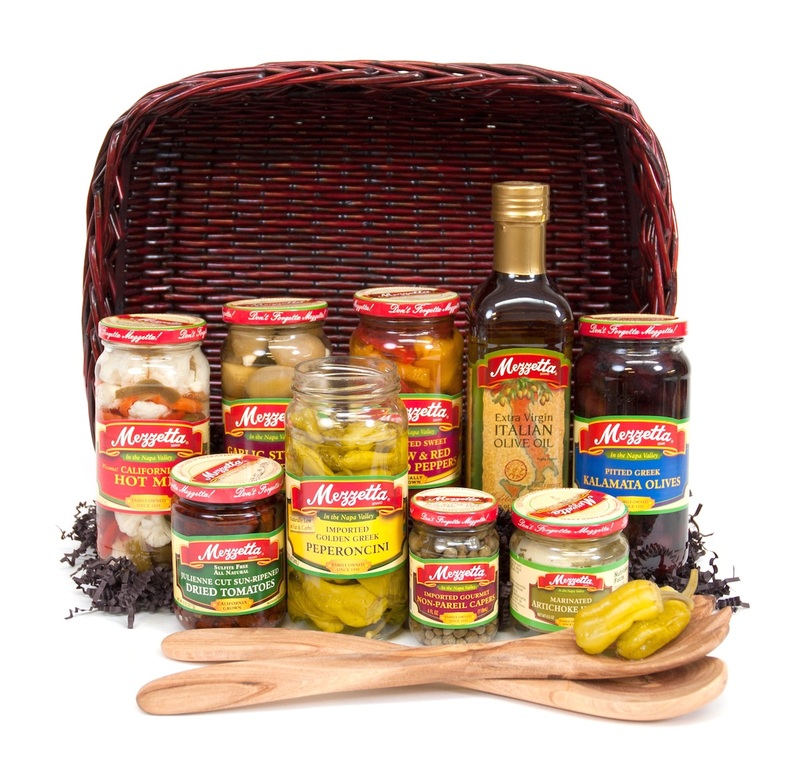 Or choose another pepper that packs more heat, like the Mezzetta hot chili peppers. If you want to add other things to your salad, feel free. I was tempted to add cucumbers, hard-boiled eggs, halved cherry tomatoes, and some thinly sliced scallions, but I thought those were taking me too far from my taco ideal. Of course, feel free to add whatever you like! A final gently sprinkle of snow ... uh, I mean more cheese .... just because it's pretty, and you're all done. 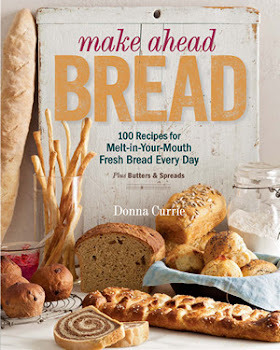 If you're still wondering if this is really a holiday recipe, take another look. It's all red and green and gold and white - traditional Christmas colors. Okay can I tell you something funny? I was working on this post and trying to decide if I liked the 4-jar or the 5-jar photo better. Turns out I had space for both, so I didn't have to decide. But while I was looking at them, and trying to decide ... four jars ... five jars ... I kept hearing Patrick Stewart's voice saying "There. Are. Four. Jars." If you're laughing, that's great. If not, search Google for "Piccard four lights" and you'll get it.